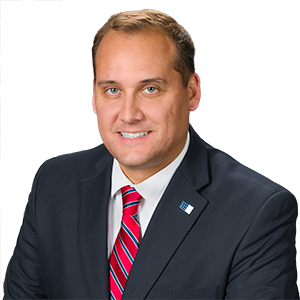 Langerholc Announces $1.2 Million for 35th District Projects - Senator Wayne Langerholc, Jr.
Harrisburg – State Senator Wayne Langerholc (R-35) today announced the approval of more than $1.2 million in state grants to help pay for transportation projects in Clearfield and Cambria counties. The funding was approved by the Commonwealth Financing Authority (CFA). The University of Pittsburgh at Johnstown (UPJ) was awarded $190,453 to complete the second phase of the Richland Sidewalk/Bike path project, also known as REACHland Connect. The project will install sidewalks along Theatre Drive and Eisenhower Boulevard that will connect the University of Pittsburgh at Johnstown’s campus to other portions of Richland Township. The project also includes the installation of a new paved access road to a trailhead for 15 miles of hiking trails that exist to the south of the UPJ campus. The total project cost is $522,272. Bigler Township will use the funds for replacement of a structurally deficient, concrete arch culvert on Arch Street and the rehabilitation of 1,300 feet of roadway on Arch Street beginning at Route 53 and extending onto Lynn Street to the intersection with Spruce Street. The total project cost is $318,394. High View will use this grant for an expansion of its dairy processing facility on Vale Woods Road in Munster Township to meet industry demands and expand the dairy products the company offers. The expansion will include a new freezer and piping and the installation of an HVAC system to control temperature and humidity. The total project cost is $1.95 million. South Fork Borough will use the grant to help pay for the milling and repaving of approximately 3.9 miles across 21 roads throughout the borough. The streets have been patched over the years, but are in need of being repaved. The total project cost is $352,734. Croyle Township will use the funds to help pay for the replacement of the structurally unsound Oaks Road Bridge at Laurel Run with a prefabricated box culvert with full invert, new headwalls and wingwalls, approximately 100 linear feet of new guiderail and 120 feet of roadway surfacing and paving. The total project cost is $236,300.